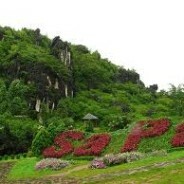 This park is essentially a long cobblestone walkway to the top of Ham Rong Mountain. It’s a strenuous climb, but the panoramic vista at the top is well worth tackling all those stairs. Along the way, there are countless potted orchids, beautifully landscaped gardens and a few really tacky statues of cartoon characters like Scooby Doo and Mickey Mouse. 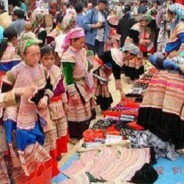 Muong Khuong Market: Big market with a wide range of ethnic groups: Hmong, Dao, Nung, and merchants from other ethnic groups who come all the way from China to sell their products. 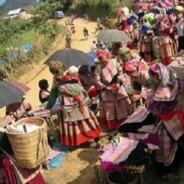 Several Pa Zi women sell traditional incense made from the bark and resin of scented trees. 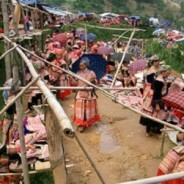 This Coc Ly Tuesday market is about 35km from Bac Ha. 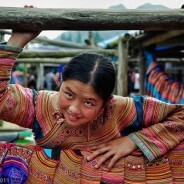 You can get here via a fairly good road, or by road and river; hotels in Sapa and Bac Ha can organise trips. 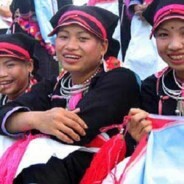 Coc Ly is a small village on the Chay river inhabited by the Flower H’mong Minority people. 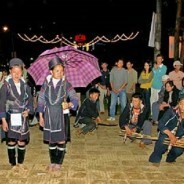 Sapa is also famous for its love market, which takes place on saturday evenings. 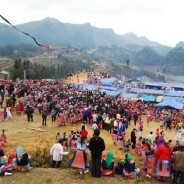 The love market of Sapa used to be the place to find a partner to get married. 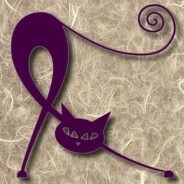 With the tourism, the real love market does not take place anymore. 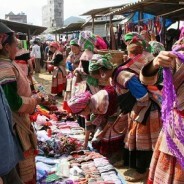 Binh Lu market & Tam Duong market opened every sunday.